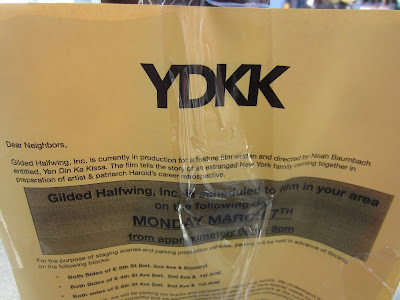 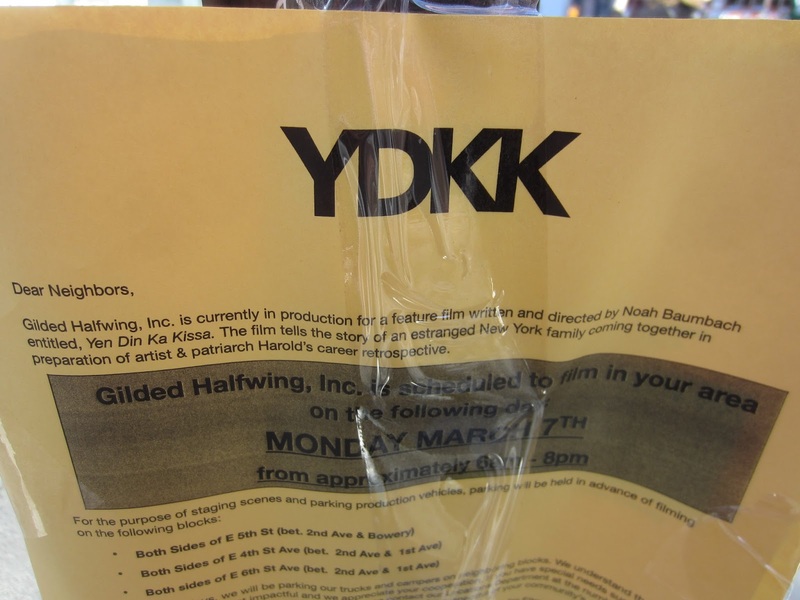 As for the mystery, well, there doesn't appear to be much online (such as on his IMDB profile) about YDKK, described on the flyer on East Fifth Street and Cooper Square as a film that "tells the story of an estranged New York family coming together in preparation of artist & patriarch Harold's career retrospective." 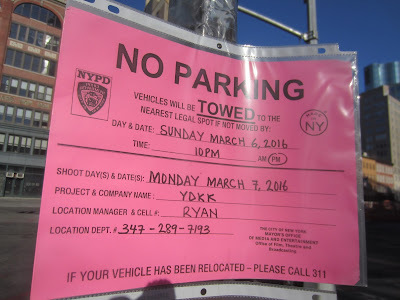 Likely a mis-print for "Yeh Din Ka Kissa", which in Hindi roughly means "Today's Story" or "Story of the Day". 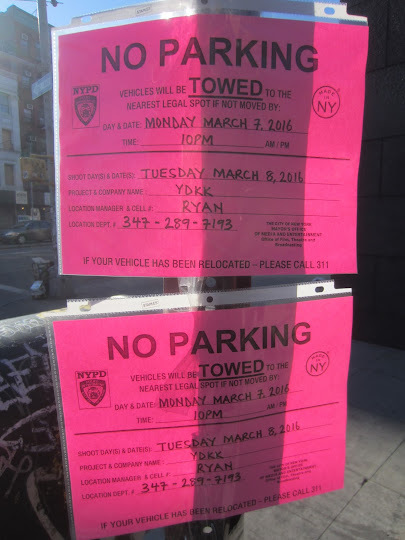 They are on 3rd Avenue between 11/12 street, right now.